I’m migrating from another Tasks/ToDo app called aCalendar Tasks which would sync with Google. I need to change because only the local Tasks app on my smartphone supports time-based due dates . 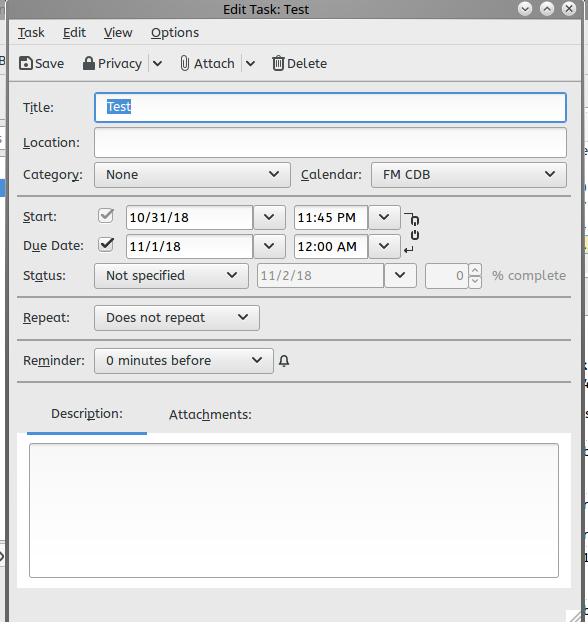 Time fields don’t map to Google Tasks, & as such I’m unable to sync the time field to Thunderbird/Lightning on my computer. I’ve installed OpenTasks in accordance with the DAVDroid app which specified that I use it. Apparently the Task items sync properly, just have a few details to sort. First question is regarding when the tasks appear in my Thunderbird/Lightning calendar , but not on my Android calendar. When I look at the associated Tasks app on Android, I don’t see a list including due dates- just tasks. 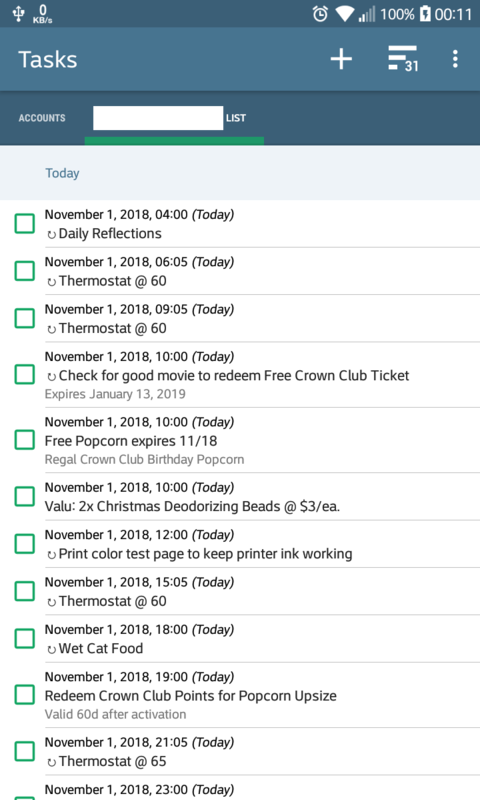 Ideally would like a list in chronological order showing each task’s start/due date. Next, I notice on Android each task will notify upon start time & due time. However on Thunderbird/Lightning there’s no reminder at all. I have to manually edit it & set the Reminder field to 0 minutes  which then enables a ‘start’ time reminder- still not at ‘due’. Lastly, whare is the tasks data being stored? I don’t see any of them listed on my FastMail account. 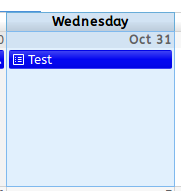 Of course the calendar there doesn’t support displaying tasks like Google & Thunderbird/Lightning, so I don’t expect to see them inline on the calendar there like I do on Thunderbird/Lightning. I hope its actually there rather than on someone else’s server. However, please note that DAVdroid doesn’t have any influence on OpenTasks and how it shows tasks. For questions about this, please contact OpenTasks support. Again, this is not managed by DAVdroid, which just synchronizes the tasks between the CalDAV server and OpenTasks. For questions about this, please contact OpenTasks support.